This article is under construction and will be updated as additional information becomes available. A PLEA: We are addressing this to all East Liverpool HS students, student-athletes, coaches, teachers, school officials and parents to please help us with by providing any information, pictures we could scan and use (we would return said photos) for this series. We feel it is important. This is for the students and student-athletes. The East Liverpool historical Society is over 100 years old and while this site is only 6 years old, this summer (2013), all thinking at the Historical Society is this will be a site that will be around for a very long time. Thus we would like to make it as complete and accurate as possible and we need your help and cooperation in order to do that. Thank you. 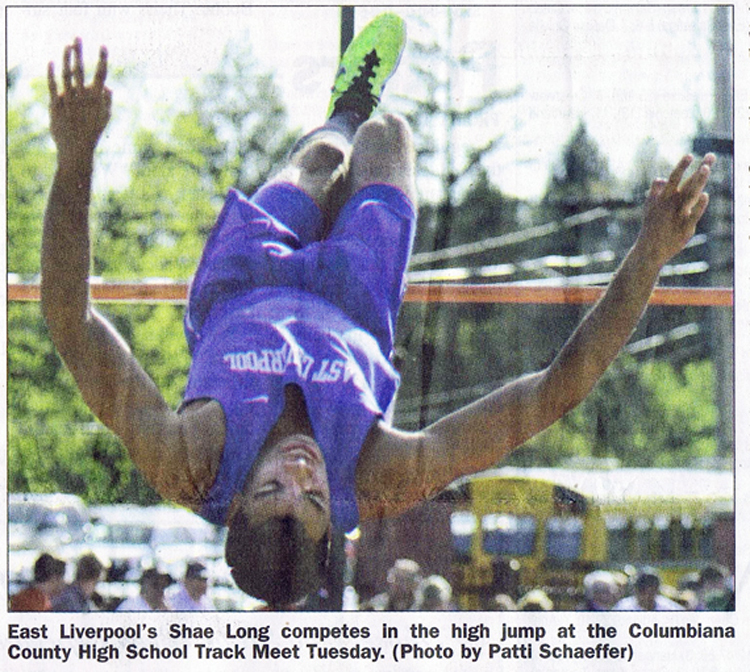 NEW CONCORD - The East Liverpool track team saved its best for last Saturday. 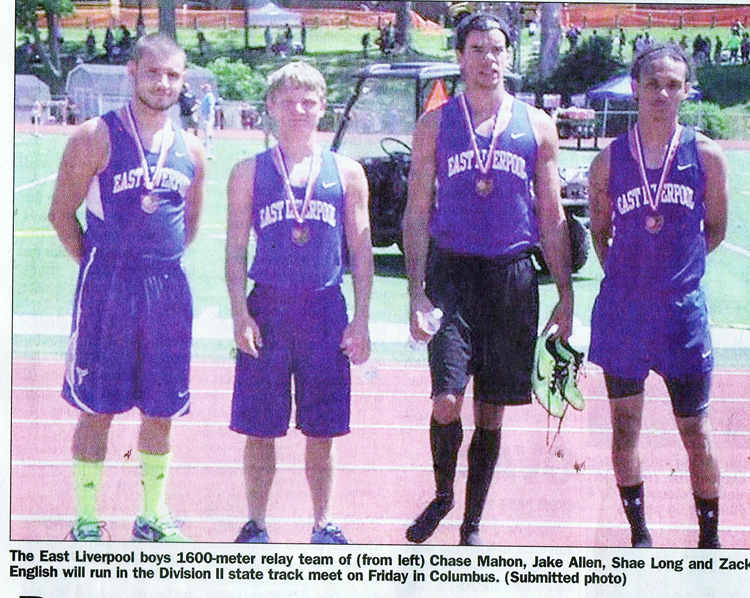 The boys 1600-meter relay team ran the fastest time by a Potters squad in 30 years at Muskingum University to advance to the Division II state track meet. Seniors Shae Long, Jake Allen and Zack English and junior Chase Mahon took the fourth and final state berth at the Division II regional in 3 minutes, 28.15 seconds. "That was one of themost exciting races I've seen," East Liverpool boys coach Scott Thornberry said. "I really thought we were going to be second coming down the stretch." The Potters finished a quarter of a second behind River View and Gallia Academy, which were second and third, respectively. Tucarawas Valley won in 3:25.22. 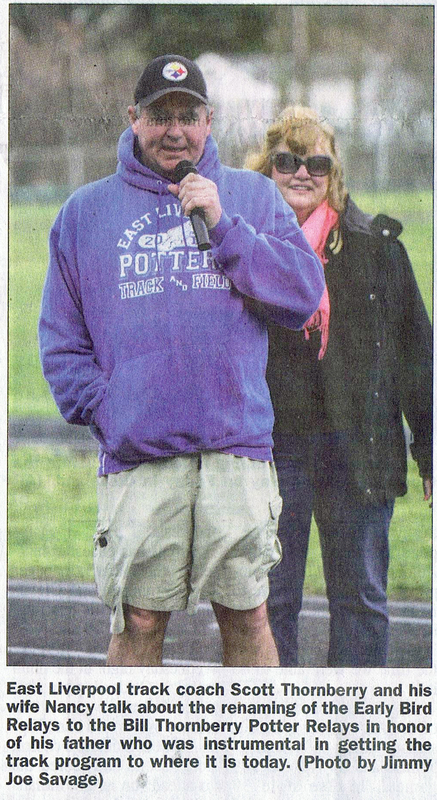 I was pretty proud of those kids," Thornberry said. "They've carried us all year and they did it again." The Potters will run in the state semifinals 4:10 p.m. Friday at Ohio State University's Jesse Owens Memorial Stadium. Four of the slowest five times in the 16-team field came from the Muskingum regional. "They know they don't have the best time," Thombeny said. "Our kids improved four seconds from Thursday to Saturday and they can do it again. 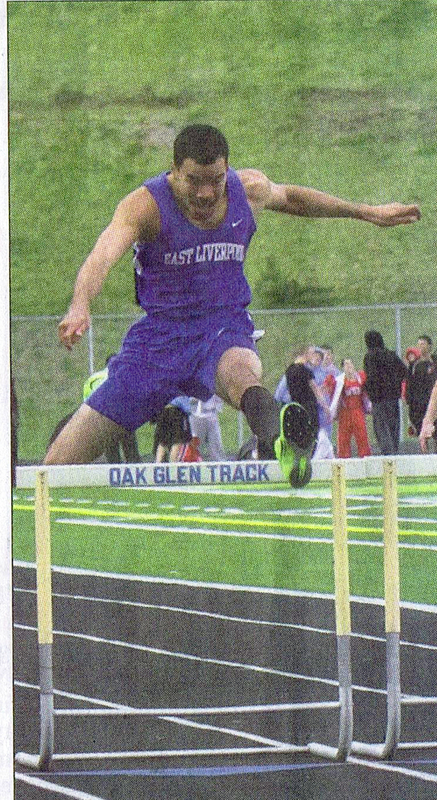 Salem and East Liverpool, which finished one- two at the Columbiana County Meet, both will be in the field. Salem was one of nine teams to run under 3:23. 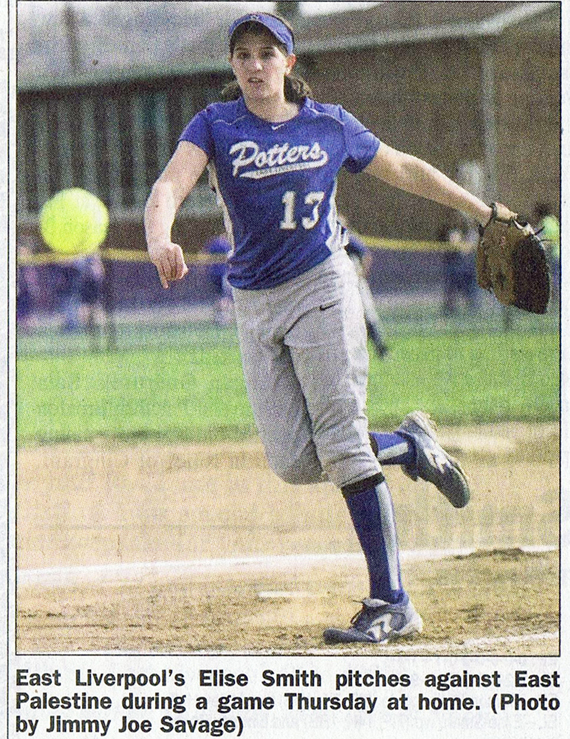 Up until that point, the Potters had been comingup short as Long and English missed advancing in individual events Saturday. 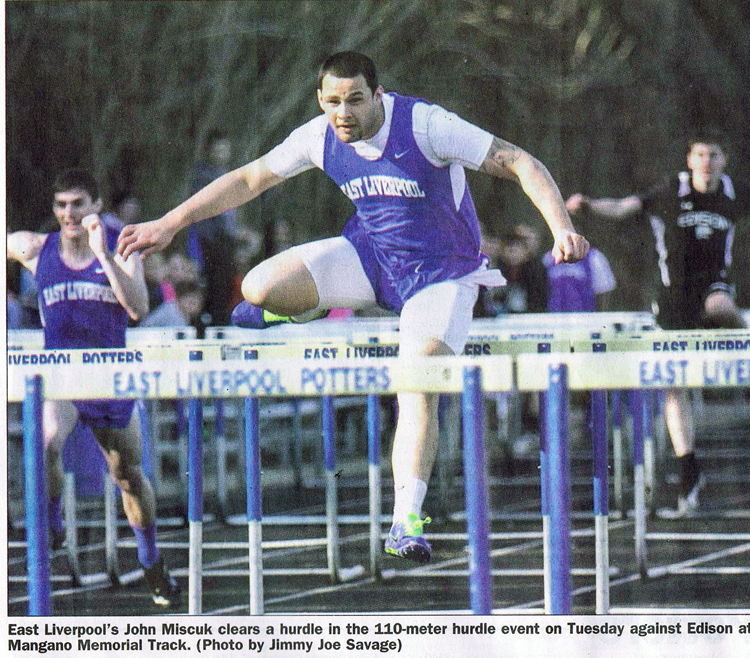 Long was fifth in the high jump (6-3) and seventh in the 30b hurdles (41.66), while English was seventh in the 400 dash (52.45). We had a rough day, really," Thornberry said. 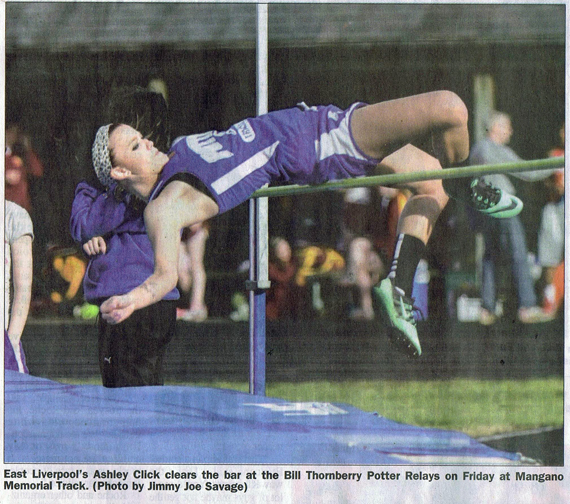 "It started with the high jump. 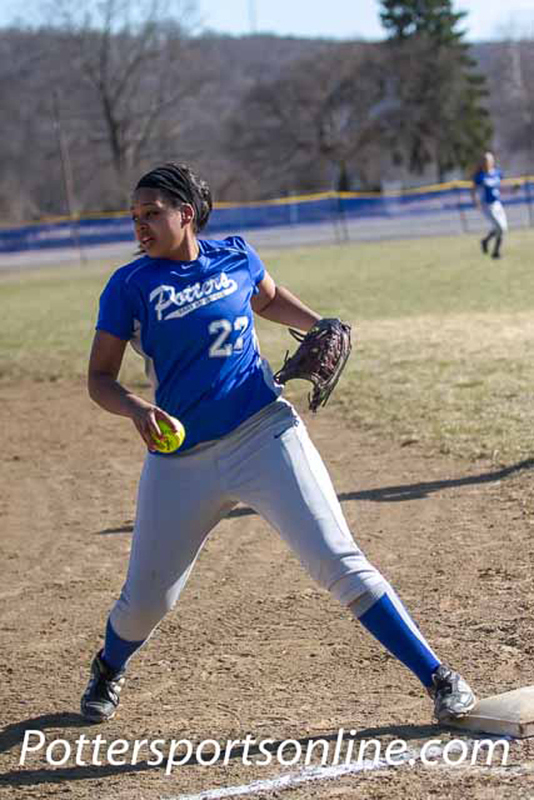 Shae was clean through 6-3 and it looked like a struggle to me. The way they were jnping he would have had to make 6-4 on his first jump to get it." 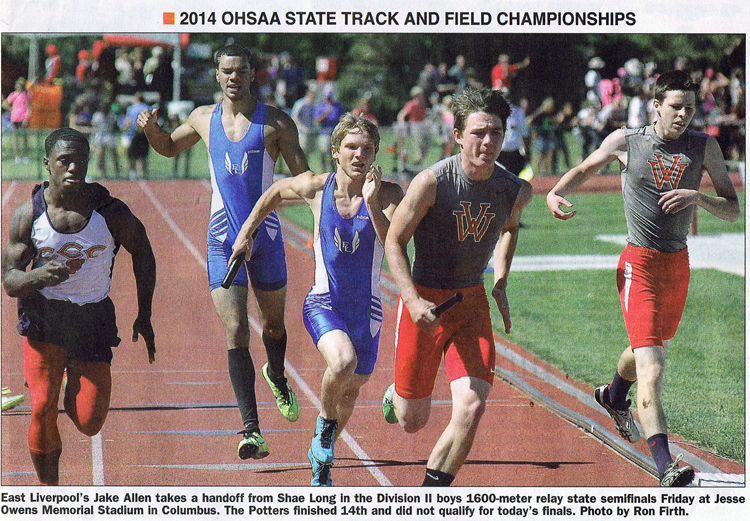 "Then Zack ran a good time in the 400, but finished seventh. Shae ran a pretty good time out of lane 1 in the 300 hurdles." 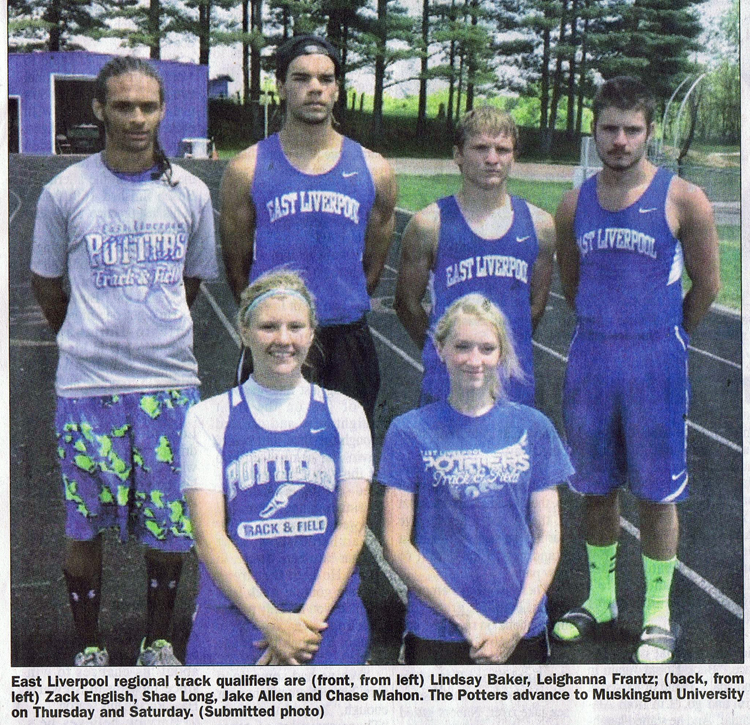 The Potters entered the 1600 relay with the seventh-fastest time and ran in lane 8. "I didn't like our body English going into the relay," Thornberry said. "The other two guys were fresh, but Shae and Zack were tired." that changed as soon as the gun started. "Mahon ran out of his mind on the first leg and the rest got better," Thornberry said. 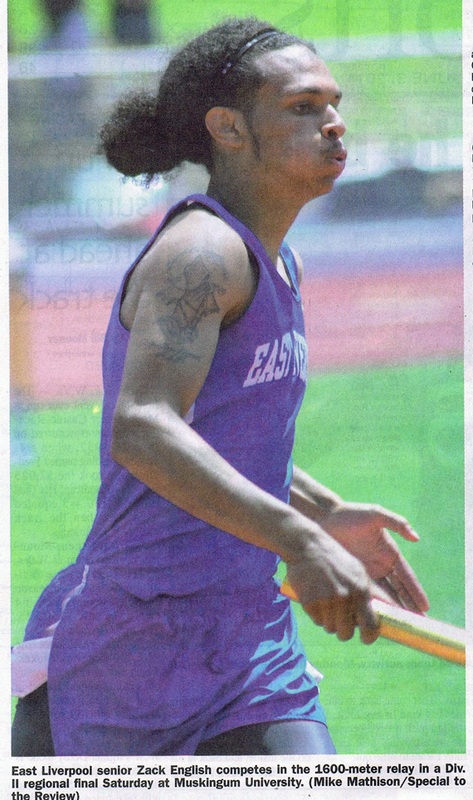 English ran a 50.5 anchor leg to get the Potters to Columbus. "It was sort of funny," Thornberry said. "They weren't celebrating. They were all on the ground." East Liverpool freshman Lindsay Baker just missed a state berth by placing fifth in the girls discus (a personal-best 113-0). 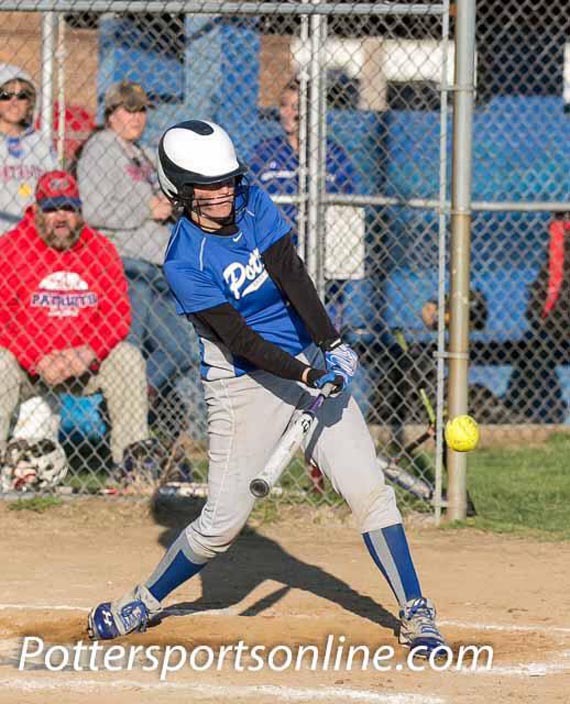 Indian Creek senior Kristen Shimko grabbed the fourth and final state berth (113-11). Shimko passed Baker on her nextto-last throw. 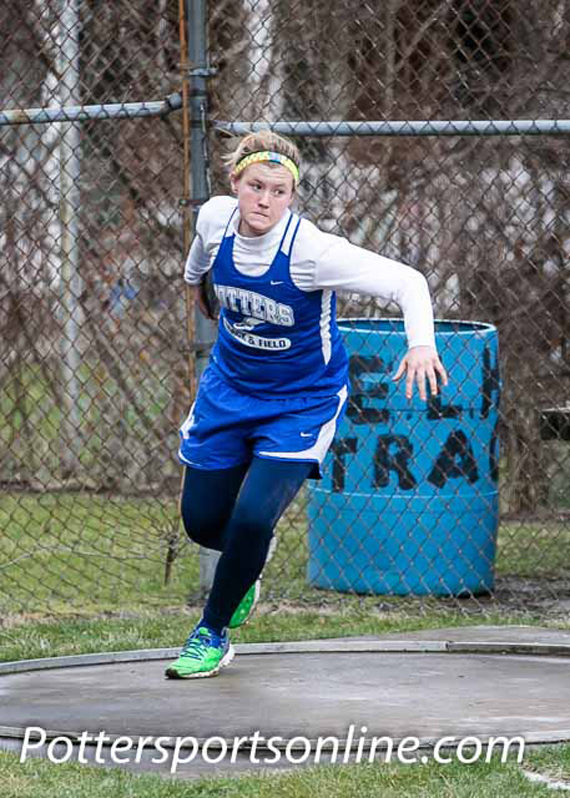 Lindsay Baker, throwing the discus. Picture courtesy Jimmy Savage. We think that everyone who is mentioned in the text sections above are shown, at least once, in the pictures except for Delaney Snyder. Thus far we have not been able to find a picture of her. We will continue to look. Lindsay is now ranked 30th in the Nation. (70 showed up) Not as high as she hoped, but surrounded by outstanding athlete's. Her day was thrown off a tad first thing in the morning when the staff took her disc's-athletes weren't allowed to use their own implements. They were provided. Such a great accomplishment for her though....and the experience was first rate! Courtesy of Wendy Baker Hoppel. 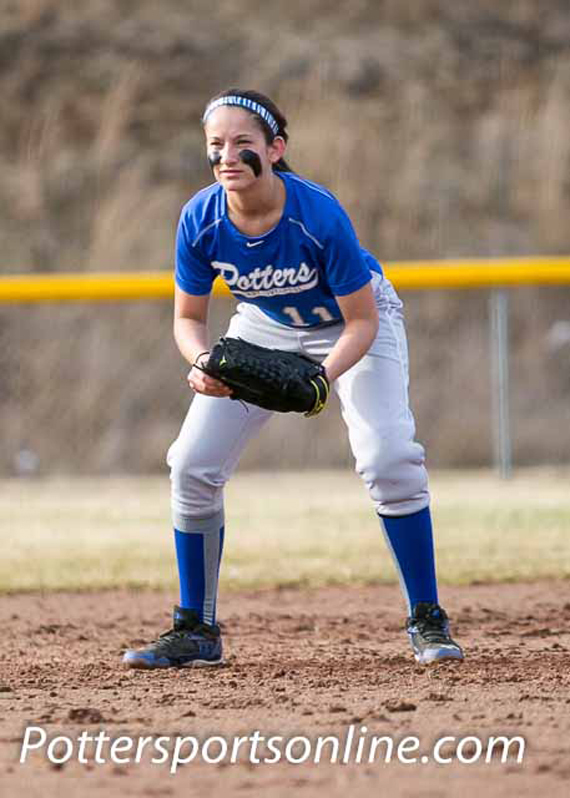 The 2014 Potters softball team finished the season with a 9 - 10 record. Usually this being the dinner it would be near or at the end of this section but since they listed the Distrivct, etc awards in the caption it is placed first this time. 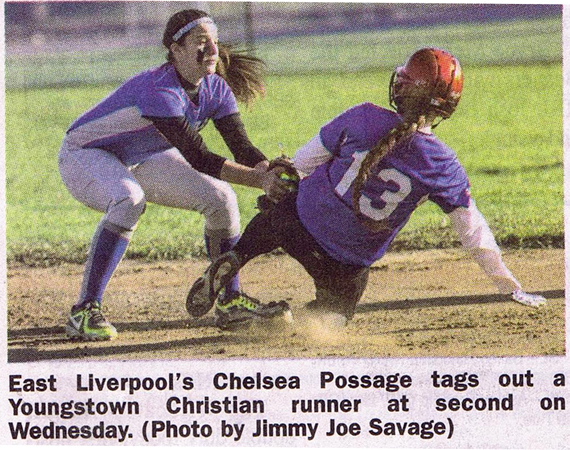 Madison Price, Courtesty of Jimmy Savage. 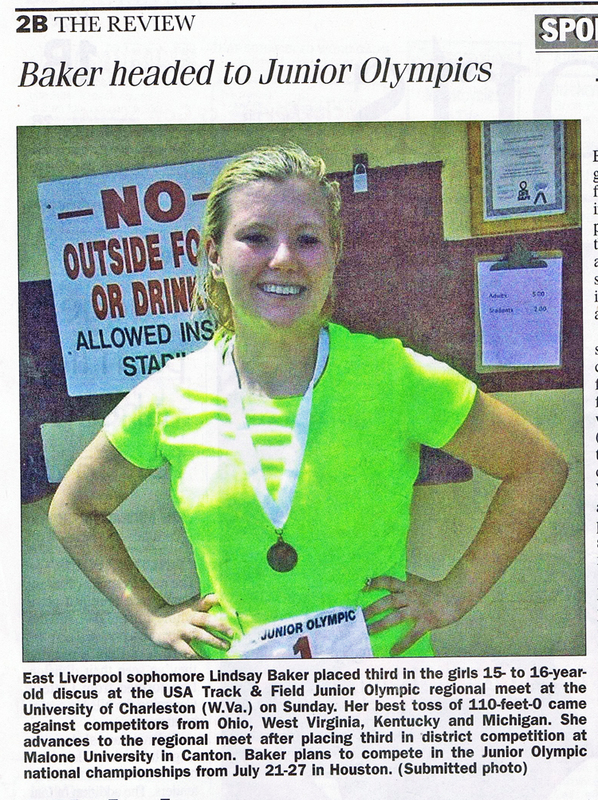 Lindsay Baker. Courtesy of Jimmy Savage. Rae Ana Holmes, Courtesy of Jimmy Savage. #4 is Kalyn Alford. 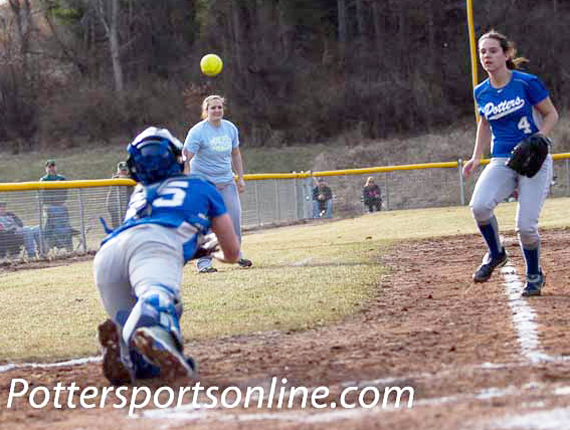 I think the catcher is Lindsay Baker. 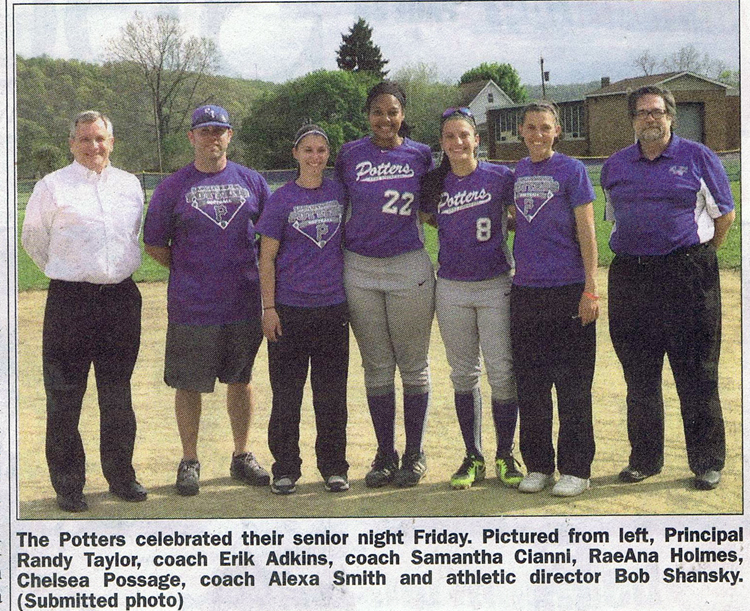 That picture is from the Eastern District underclassman all star game. That is Elise Smith to the right. You had to try out for the all star team. 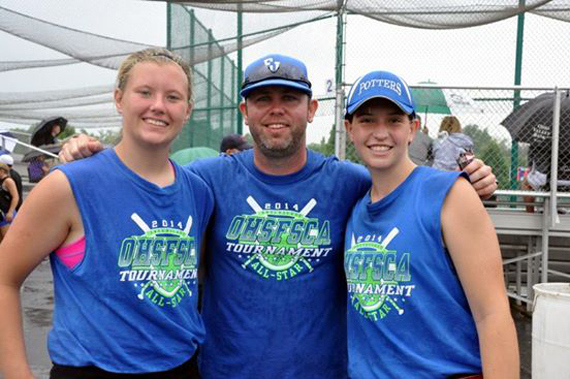 Elise and Lindsay made it-and Madison Prince was chosen as an alternate infielder. The game was held in Columbus over 2 days. Text Courtesy of Wendy Baker Hoppel.